General Motors on Thursday requested a second infusion of $4bn in January as it promised to speed cost cutting, including labour, and attempt to reduce its huge debt in return for US government help. The company's submission on Tueday to the Senate Banking Committee hearing, now under way in Washington, had intiailly asked for an immediate loan of $4bn this month but this is the first time the company has mentioned a second cash injection needed a month later. Both payments would be part of the total of $18bn GM has requested from federal funds. Just hours after French president French president Nicolas Sarkozy announced an EUR1.5bn boost, including a scrappage incentive, for France's auto industry as part of a package of measures designed to shore up France's weak economy, on the other side of the Atlantic Detroit Big Three CEOS - all of whom have pledged to work for a US$1 a year if the government chips in - were beginning two days of hearings with the senate banking and house of representative financial committees who will decide whether to grant the $34bn collectively requested. "It's a blueprint for creating a new General Motors," Wagoner said in his testimony. In its submission earlier this week to the senate committee, GM asked for term loans of up to $12bn to provide adequate liquidity levels to the end of 2009 and also requested an "initial draw" of $4bn this month. It also requested a $6bn line of credit "to provide liquidity should a severe market downturn persist" and said it planned to start repaying the loans as soon as 2011 and the $6m credit line, if drawn by 2012. Chrysler asked for a $7bn "capital bridge loan" by the end of December to help it meet hefty payments - including $8bn to suppliers alone - in the first quarter and keep going. Ford, in relatively good liquidity shape, asked for a $9bn 'bridge financing' line of credit but said it hoped to complete restructuring without drawing on any fed funds. 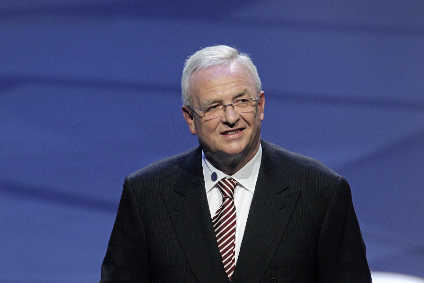 In his testimony, Wagoner promised lawmakers he would carry out a turnaround and said GM would overhaul its brands and try to sell assets including Saab, according to Reuters. GM would accelerate its current efforts to reduce manufacturing and structural costs and also "plans to engage" lenders, bond holders and unions to reduce debt, at the same time honouring warranty obligations to dealers and consumers. Having previously dismissed bankruptcy as an option because it would destroy consumer confidence in its products, GM officials have now said a government bail-out is the only option. "There is no Plan B," one senior executive said yesterday. US media reports suggested, though, that Congress was unlikely to be compliant with even a top Democrat in charge of evaluating the aid requests making clear he was keen to avoid voting on a bail-out. One report said the chairman of the Senate Banking Committee, Senator Chris Dodd of Connecticut, wrote to Federal Reserve chairman Ben Bernanke yesterday asking the central bank chief whether there was anything stopping him from using his considerable lending authority to help the automakers. 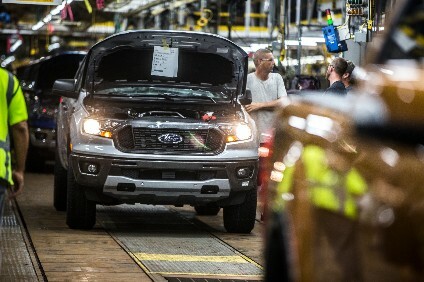 Automaker, union and dealer officials spent Wednesday on Capitol Hill warning senators and representatives of the likely effects on the US economy, workers and the economy should one or more of the companies not survive. Over the last week, the automakers' plight has frequently been the lead item on the major TV networks' nightly news bulletins. 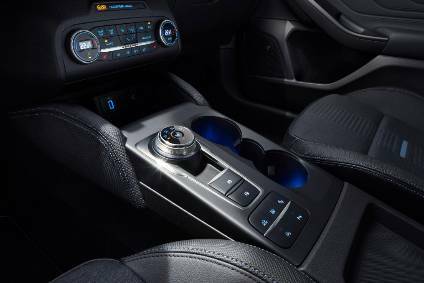 "We're on the brink with the US auto manufacturing industry. We're down to months left," Chrysler vice chairman Jim Press told a news agency. "If we have a catastrophic failure of one of these car companies, in this tender environment for the economy, it's a huge blow. It could trigger a depression." As reported by just-auto, the powerful United Auto Workers union yesterday made significant health care funding and 'jobs bank' concessions. But the union also made it clear at a meeting yesterday that it does not see why Wall Street was bailed out so quickly with $700bn of government money while the congressional committees will put its president Ron Gettelfinger and the automaker CEOs through the hoops for $34bn. The outgoing Bush administration and politicians from vehicle-producing states like Michigan and Ohio have been lobbying for help from the earlier-approved $25bn programme intended to help automakers develop more environment-friendly but environmentalists and some congressmen oppose the suggestion, saying that's for technology R&D, not bail-out. Senate majority leader Harry Reid has said the Bush administration could loan some of the already allocated Wall Street funds to the automakers but the White House has so far refused. Reid told a news agency there had been talk the administration might request the second $350bn installment of the $700bn financial industry rescue fund be directed to the automakers. If the Bush administration doesn't do something, he was quoted as saying, "I think that we [Congress] are probably going to have to try to do something." Earlier this week, house speaker Nancy Pelosi, a California Democrat, said bankruptcy wasn't an option for the companies because reorganisation would take too long. Reid, a Nevada Democrat, told the Wall Street Journal that, if Democrats decided to proceed with a bailout, legislation could come as soon as Monday. The Senate Banking, Housing and Urban Affairs Committee has begun hearing from the Big Three CEOS, the UAW's Gettelfinger and the head of the Government Accountability Office on the companies' plans. The House Financial Services Committee has a similar session scheduled for tomorrow. The public may need convincing as well as the politicians and president. A US wire service report said a CNN-Opinion Research poll showed 61% opposed federal assistance while 53% said it would not help the economy. Worse, only one in three expected an automaker bankruptcy to affect them immediately or within a year. Some thought it might have some effect eventually but 25% said they would never feel the impact.